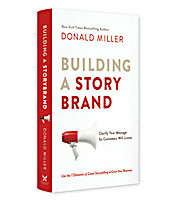 In his StoryBrand Framework, Donald Miller uses seven universal elements of powerful stories to teach readers how to dramatically improve the way they connect with customers and grow their businesses. Building a StoryBrand will transform the way you communicate the compelling benefits of using your products, ideas or services. “This is not a book about telling your company’s story ... Customers don’t generally care about your story; they care about their own.” With these opening words of his new book, Building a StoryBrand, best-selling author and marketing consultant Donald Miller gets to the heart of why company communications often fail: The companies are focused on their story and not the customers’. Miller shows companies how to build a story for their products and services in which — as Miller emphasizes throughout the book — the customer is the hero. A CHARACTER. 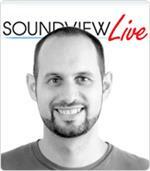 The first principle is that the customer is the hero, not your brand. HAS A PROBLEM. Companies tend to sell solutions to external problems, writes Miller, but in fact customers buy solutions to internal problems. Successful companies attend to the inner frustrations, the heart of the more visible external problems. AND MEETS A GUIDE. Customers are not looking for another hero; they’re looking for a guide. Companies don’t realize, Miller writes, that setting themselves up as heroes only puts them in competition with their customers. WHO HAS A PLAN. Customers trust a guide who has a plan. The most effective plans offer customers a clear path to stability from the uncertainty of purchasing. AND CALLS THEM TO ACTION. Customers do not take action until they are challenged to take action. “A call to action involves communicating a clear and direct step our customer can take to overcome their challenge and return to a peaceful life,” Miller writes. THAT HELPS THEM AVOID FAILURE. Every human being is trying to avoid a tragic ending. If there is nothing at stake — if there is no cost to not doing business with your company — why should customers be interested? AND ENDS IN A SUCCESS. Miller’s final StoryBrand principle is to show people how your products can positively affect their lives. 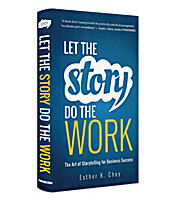 In Building a StoryBrand, Miller leads his readers through each of the seven steps in his framework, offering tools and guidelines — such as direct and transitional calls to action and process and agreement plans — to ensure that the book explains how to successfully implement the framework’s principles. Anyone seeking to communicate with customers — from world-famous musicians to Main Street storeowners would do well to pick up a copy of Building a StoryBrand: Clarify Your Message So Customers Will Listen.